Steve Dotto (@DottoTech) publishes a variety of videos on YouTube, mainly on the subject of personal productivity and software. Following a career in traditional broadcasting, he’s strategically moved into self-publishing and has since built a business with video, coaching, & speaking under his brand DottoTech. In this conversation, Steve shares his strategies for online community-building, his preferred sites and software, and his personal productivity habits. Listen to podcasts/audiobooks while walking the dog. 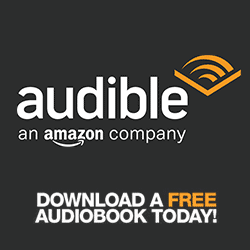 Get Chris Anderson’s book Free for free, in addition to your other free audiobook!